In India, food safety and regulations have always been a neglected topic despite the fact that it is directly related to public health. Adulteration is a common phenomenon in the developing countries. Turmeric powder and most of the spices that we consumer in our daily life are mixed with a lot of similar looking chemicals, commonly called colours. Poultry farms inject chicken to increase their weight mostly with steroids. These steroids are retained in their body flesh, which we eat thinking it is healthy food. These are a few examples which suggest adulteration in the food commodities is nothing but a culture in our country. Government came up with food adulteration act way back in 1954. The intention was to regulate the industry which directly affects the health of the masses. But the problem persisted as the government failed to make people aware of the hazards of adulteration. Patients suffering from Cancer, Heart attack and other heart problems, liver problems increased as the time passed. People at a young age of 25 suffered from heart attacks and artery blockages. The health budget moved but the problem was never focused upon. As India was mostly an unorganised market, far away from regulations, mixing water in milk, and brick powder in red chili powder are some of the retail practices that has been happening since generations. The colours that are often used, contain lead and arsenic and can damage kidneys. Industry evolved, dairies came up, but adulteration continued just like a religious practice. Urea, which is used in the preparation of synthetic milk, is particularly harmful for kidneys, and caustic soda is a slow poison for people suffering from hypertension and heart ailments. It is believed that 90 per cent of the ghee being sold in the market violates the specifications of the Prevention of Food Adulteration Act (PFA). It will not be right to blame it completely on the industry. Consumer behaviour has always encouraged this. The first priority given by people before choosing the food essentials is its cost. The price of ghee shouts in itself that it is not pure, but each packet finds a place in consumer’s carry bag. In an interaction with Dinesh Kumar, Director, Brown Tree Retail Pvt Ltd said, “If a packet of ghee is retailed at Rs 200 per Kg, consumers do not bother to think how come it is retailed at such low price when milk itself is sold at a minimum of Rs 20 per litre. It need not be said that it must be adulterated. Indians are still not aware of the ill effects of adulteration. It happens mostly because a large part of the population is still not exposed to organised and organic products”. How and where do we consume adulterated products. As this issue is related to our food, it has an impact on us on a daily basis. The table below is a consolidated effort to show where and in which all products we consume chemicals in disguise. Milk Water Urea Put a drop of milk on polished vertical surface. The drop of pure milk either stops or flows slowly leaving a white trail behind it. Whereas milk adulterated with water will flow immediately without leaving a mark. Take 5 ml of milk in a test tube and add 2 drops of bromothymol blue soln. Development of blue colour after 10 minutes indicates presence of urea. Silver Foil Aluminium Foil On ignition genuine silver foil burns away completely leaving glistening white spherical ball of the same mass while aluminum foil is reduced to ashes of black Grey colour. Honey Water A cotton wick dipped in pure honey burns when ignited with a match stick. If adulterated presence of water will not allow the honey to burn, if it does will produce a cracking sound. Tea Coloured leaves Used tea Iron fillings Rub leaves on white paper, artificial colour comes out on paper. Tea leaves sprinkled on wet filter paper. Pink or red spots on paper show colour Move a magnet through the sample. Iron will stick to the magnet. Red Chilli Powder Rodamine Culture Brick Powder Take 2gms sample in a test tube, add 5ml of acetone. Immediate appearance of red colour indicates presence of Rodamine. Brick powder settles fast chilli powder settles slowly when put in water. Turmeric Powder Metanil Yellow Add a few drops of HCl to the extract of turmeric from water. Instant appearance of violet, when the colour persists when diluted with water indicates the presence of metanil yellow. Dal arhar, moong, washed channa Metanil Yellow Extract the colour with Luke warm water from the sample of pulses, add drops of HCl. A pink colour indicates presence of metanil yellow. Pure Ghee or Butter Vanaspathi Take one teaspoonful of melted ghee or butter with equal quantity of Conc. Hydrochloric acid in a test tube and add to it a pinch of cane sugar. Shake well for one minute and let it stand for five minutes. Appearance of crimson colour in lower layer shows the presence of vanaspathi. Black Pepper Papaya Seeds Float the sample in alcohol. The mature black pepper berries sink while papaya seeds and light black pepper float. Most of these adulterations have a direct impact on the digestion system, weakening the liver and intestines. A few of them create a blockage in the arteries. Speaking about the hazards, Kishan Gupta, MD & Global CEO, Organic India Pvt. Ltd said, “India never had diseases like cancer and young men suffering from heart attack, chronic chest infection and problematic digestive track are all caused due to food adulterations, it’s the moral deficiency in the small scale industrialists which is why India is facing this problem”. Apart from this, turmeric powder which is a part of almost all the food items we consume has lead chromate. This leads to paralysis, anemia, brain damage and abortion. Yet another daily use product is coffee. Coffee powder is adulterated with roasted chicory. In recent days, it is found that mixture of coal, clay, indigo and lead chromate are added to coffee powder which leads to paralysis and brain damage. But in the last couple of years, as the organised market has grown, India has seen a few steps taken by retailers to fight with the trade of poison. Brown Tree is a health food store which opened its first branch in Chennai in July 2009. The mission of Brown Tree is to source quality health food products from various regions of the country and put them together under one roof to serve its customers with the finest quality foods. 1. A new integrated food safety law. 2. Licensing and monitoring of every food manufacturer. 3. 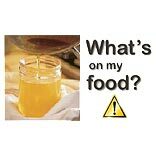 Formulation of food recall procedures in case of unsafe or hazardous products. 4. Mandatory compliance with GAP (good agricultural practices) for big retailers, labeling changes for packaged food items. 6. Setting water quality standards and verification of claims by food supplement companies. Courtesy: Report on Sprouting opportunities in food and agriculture sector by Technopak. The new prevention of food adulteration act is more strictly followed and the repercussions of anyone violating the act have been shown by the authorities. Cancelling the licenses is how the retailers and industrialists are being treated once found guilty of adulterations. With the public getting more and more concerned about their health, adulteration does not seem to fit in the future of Indian food industry.